Easy replacement of vitreous enamel resistors with no cost increase and no performance loss. The whole assembly is coated with multi-layer silicone coating to give maximum wire protection form -55°C to +350°C. 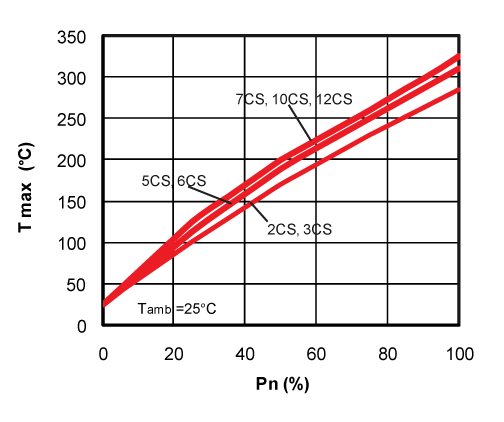 Performance improvement is obtained by close tolerance, very low temperature coefficient and excellent stability in operation under severe environmental conditions. High level reliability due to ceramic core chemically inert and centerless ground for uniformity, selected wire element and completely welded construction terminal to terminal. Standard 5%. Available on request up to 1% (for values >R047). 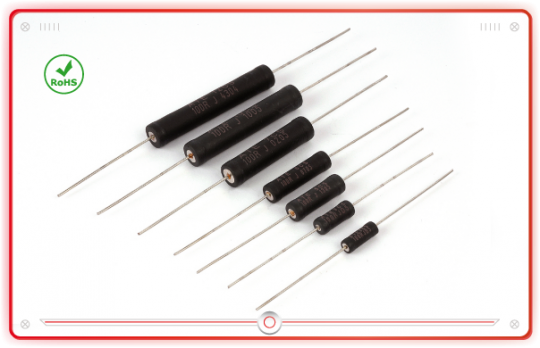 Continuous, satisfactory coverage when tested in accordance to MIL-PRF-26 H.
These resistors can be used in a temperature range form -55°C to +350°C To use these components in applications with working temp. 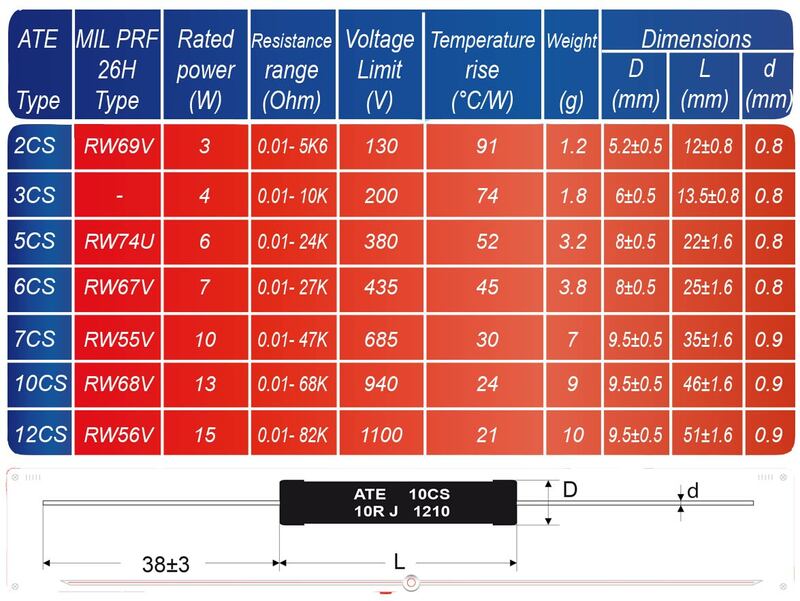 higher +25°C You have to make a power reduction with linear derating from nominal power to zero at 350°C.